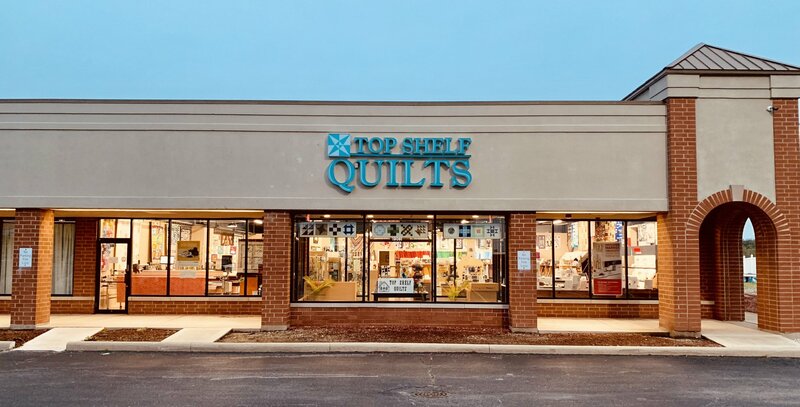 Top Shelf Quilts opened in September of 2003 in the downtown area of Historic Frankfort, Illinois. We relocated to Mokena, Illinois in 2018 to a bigger space. The shop has 4100 square feet of space with a large classroom. 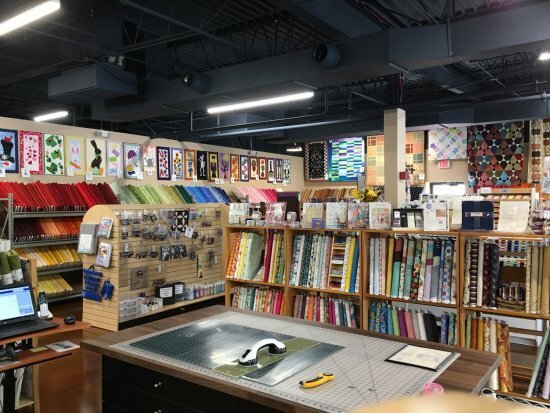 We carry a wide variety of fine quilting fabrics from Moda, Hoffman, Michael Miller, Benartex, Marcus Brothers, Robert Kaufman, Andover, Quilting Treasures, Timeless Treasures, etc. We also carry Superior, Gutermann, and Aurifil thread, patterns, books, notions, and gift items related to quilting. Come visit the shop and see the many display quilts and class samples.